The i5 – or, rather, iNext – isn't dead. BMW's upcoming electric crossover – whether it's called the i5, iNext, or something else ­– will feature level 3 autonomous driving capabilities, InsideEVs reports. SAE defines level 3 autonomy as a "conditional automation," a mode-specific system where the car takes over all driving functions, with the human required to be ready to intervene. This means the human driver can take their hands off the wheel and eyes off the road, but will be alerted to take over if the car decides it can't perform the functions on its own under the current conditions. BMWi's national manager in Canada, Kevin Marcotte, told InsideEVs, the electric crossover will be "a major leap forward not only in terms of electrification, but also in technology. It will be the next big thing for us in terms of leapfrogging the industry." Also interesting about this news from InsideEVs is that it appears to confirm one rumor, and put another to rest. BMW has long been rumored to be working on an electric crossover, called the i5, until another rumor claimed the project had been killed off. BMW recently announced, though, that it would simplify its lineup to focus on electrics, and apparently an electric sport activity vehicle/crossover is still in the works. 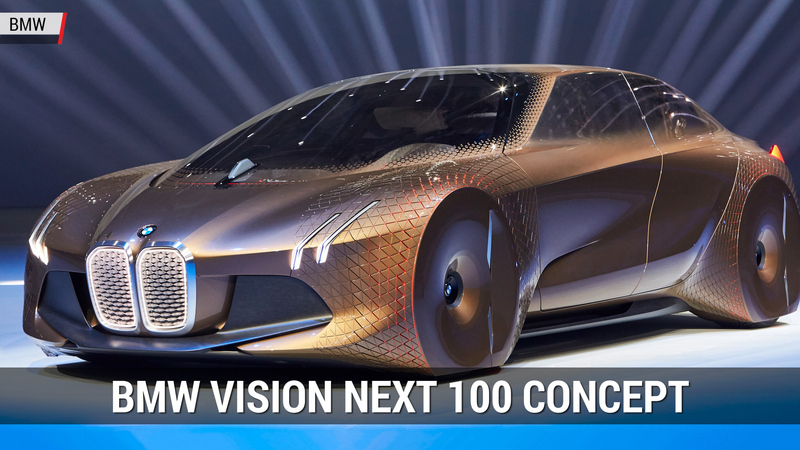 BMW is still working with the (not finalized) name iNext, borrowed from the Vision Next 100 concept, seen above. BMW also said the iNext will get a number of new technologies, without naming them. InsideEVs reports that BMW reconfirmed its 2021 release date for the iNext, and that we'll get an i8 roadster next year, a Mini BEV in 2019, and an all-electric XBMW X3 in 2020.